Norman has had the idea he carried out on Bates Motel Season 4 Episode 9 brewing in his head for quite some time. In fact, he first considered he and Mother off themselves on Bates Motel Season 4 Episode 2, "Goodnight, Mother." That hour was very similar to this one, yet also very different. This one was a bit more permanent. Whereas the earlier episode featured a more manic and frightening Norman coming to the determination that the pair had tried to find peace and been unable to do so anywhere, here Norman was more resolute, and in being so tried to get Norma to imagine a place where they could find their solace on this earth, if away from White Pine Bay. Norman wasn't trying to scare the hell out of his mother, a woman he really does love, but instead to end her suffering. 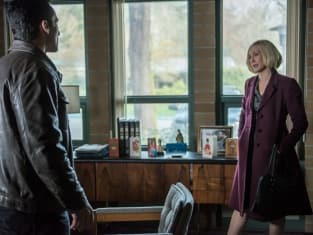 I saw some more darkness in Norma that she's been glossing over while Norman was away that allowed her to get comfortable with Alex Romero in a way that would be unlikely to continue once Norman was back. It doesn't matter how Norma and Norman came to be so codependent upon each other. They are. There is and always will be a wickedly tight bond between them than no man can tear asunder, whether that man is her son or her husband. Dylan wanted to protect his mother from whatever Norman might be capable of doing, but in the end, he realized she would never listen to him. She wouldn't do that anymore than she would love Dylan as much as she loved Norman. Dylan [grabbing Norman in a hug]: Norman, you're not well. You have to check yourself back into Pineview. Please. Mom's not going to do it for you. You have to do it for yourself. Norman: What are you talking about? Norma: Don't say anything to him. 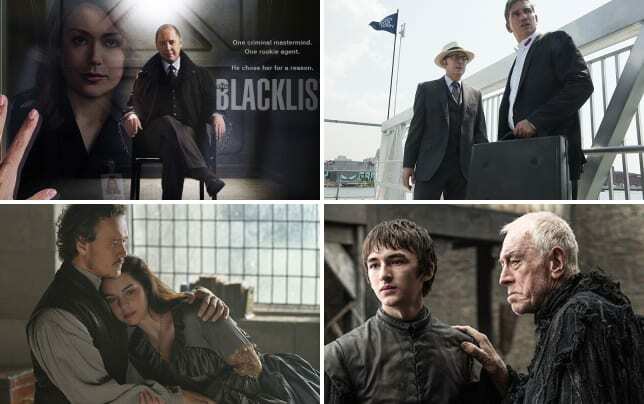 Dylan [hugs Norman]: Goodbye, Norman. Norman: Dylan, what's going on? What's happening? Mother? Permalink: Dylan, what's going on? What's happening? Mother? What I loved about that scene with Dylan saying goodbye was that he never stopped caring about his brother. He knows Norman is sick and can't logically do anything about it on his own. The look on Norma's face as she tramped up to them was from the woman who was going to die at the hands of her youngest son due to her sheer defiance of all others for trying to tell her what to do about her son. But Norman knows that woman pretty well. He knows her moods. He knew how she'd treat Romero even if Norman himself was at the root of it. It happened in record time, too. When Norman was speaking to Dr. Edwards about his mother, at first I thought he was jealous about her marriage. Then I realized he was just angry she was going to screw it up and he'd have to pick up the pieces. Even though he was saying it, and I heard it, understanding he really meant it was something totally different. Romero was being completely rational as he spoke to Norma about her son. He wasn't expecting the earth to move, but he was worried about her. The way she justified Norman charging Romero with an ax was concerning. Alex had to have considered locking them both up in Pineview. For their safety, of course. Alex is not a stupid man. He sussed out Rebecca's plan as soon as she opened her mouth. With everything else going on in his life, it was the perfect time for him to fall into a trap, but he's too smart. 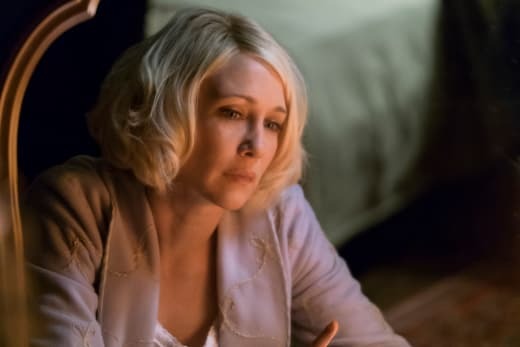 The real shame of that is if only Norma had trusted Alex completely, there is probably no end to the help he would have been able to give to her and Norman with his condition. But she wouldn't trust him. Who knows what's going to happen next. The state of things at the house point at Norma being at fault. After all, she just penned a Dear John letter to Alex. It was short and sweet, sounding more like a suicide note than the end of their marriage. I will always love you no matter what. I'm truly sorry. Love Norma. Why would she confess her undying love if she was ending the marriage? Seems odd to people on the outside, right? Norman buried the suitcase, but if he wants to dig it up and get information about Mother to the police, her robe in with the Audrey's belongings might be helpful. Sure, Dylan might pipe in, but it's a thought. It's hard to believe Norma is gone, but I don't think she'll pop awake next week. I think it's always been the plan for Norma the living, breathing mother to die, and the showrunners behind Bates Motel aren't into fake outs. Those sobs from Romero. Can we get over those? Gah. There is very little doubt Mother will live on in Norman's mind. He'll likely suffer a mental break the likes of which we won't see coming, though. His lifeline will be gone. I can't even imagine the pain. It was his idea to go out with her, not stay behind. One more episode left for Bates Motel Season 4. How will it all play out? Are you as sad as I am? As enraged that she didn't let her husband help her? They never even watched that new TV. Why couldn't the future change?! If you missed any of this amazing season, be sure to watch Bates Motel online. Then pop back this week for our Bates Motel Round Table! Five minutes of marriage doesn't give you the right to make decisions about my son. Permalink: Five minutes of marriage doesn't give you the right to make decisions about my son. Alex, that was the hardest part. Things will be better now. Permalink: Alex, that was the hardest part. Things will be better now.